You've Probably Been Using Hair Conditioners Wrong All This Time! You’re Probably Wondering, Why Should You Use Conditioner, Right? Let us give it to you straight up - there is no substitute for conditioner. Sometimes the shampoos we use strip our hair of all its natural oils and moisture. 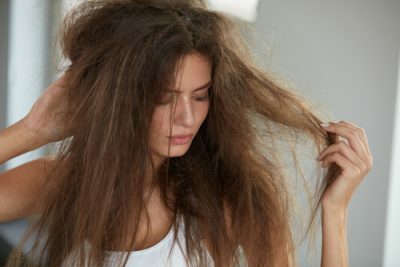 This causes your hair to be dry, frizzy and dull. Conditioner puts back all that lost moisture your hair needs to be healthy. If you want healthy hair, using conditioner on a daily basis is just as important as using shampoo. Also Read Should Your Shampoo And Conditioner Be Of The Same Brand? Like no two people are the same, no two conditioners are made the same either. Your hair conditioner needs to be hand-picked according to your hair type. 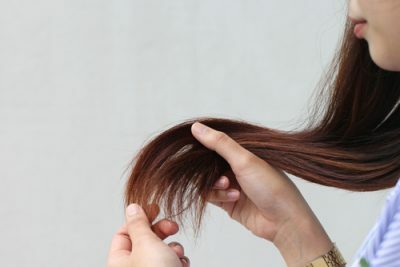 If you have dry hair, your shampoo and conditioner need to contain hydrating ingredients like argan oil or coconut oil. These will help ensure that your scalp and your hair get the required amount of moisture. A person with an oily hair type tends to wash their hair more frequently as their hair and scalp get greasy easily. You should look for a shampoo that helps balance your scalp’s pH level. The perfect conditioner for your hair type would be one that will moisturise your hair without weighing it down. Ingredients like aloe vera are light and won’t make your hair feel greasy. 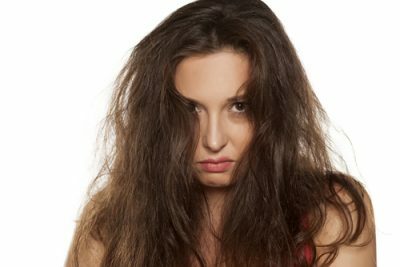 A person with frizzy hair has a tough time dealing with the sheer volume of hair. Add humidity to that and you have your very own version of ‘Monica at the beach’. 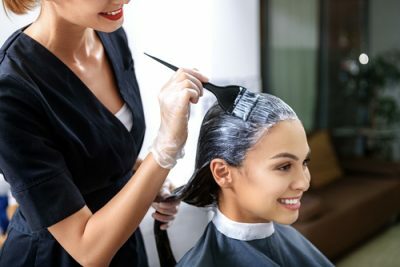 If you colour your hair frequently or if you have coloured your hair recently, you should be using a shampoo and conditioner that is meant for coloured or treated hair. These types of hair products usually have no parabens, chemicals and sulphates and help your hair colour look richer and last longer. Does your hair look and feel very damaged as a result of too much heat styling or salon treatments? If it does, then you need a conditioner that will give your tresses a little extra love. 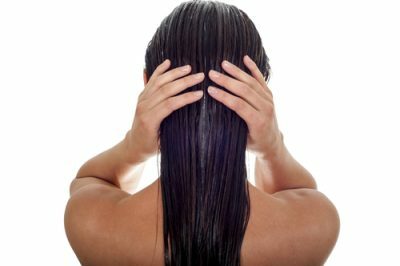 If you have really long hair, you may tend to use a lot of conditioners. And conditioner is a little expensive! So if you’re looking for a home remedy we’ve found you the perfect recipe to make your own hair conditioner. Check it out! Whip up the two ingredients in a small bowl or in a blender. You will be left with a white, fluffy paste. Apply this an hour before you wash your hair. You could even leave it on overnight if you like. You can use this on your hair, scalp and body. It’s quite the versatile little concoction! 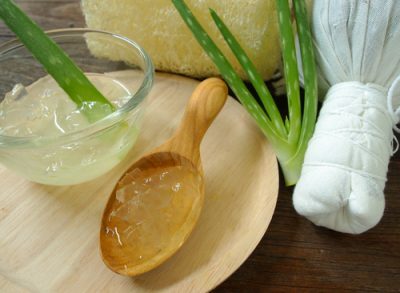 You can use fresh Aloe Vera Gel from an aloe vera plant if you’d like. Just make sure to store the product in the refrigerator if you use fresh aloe. 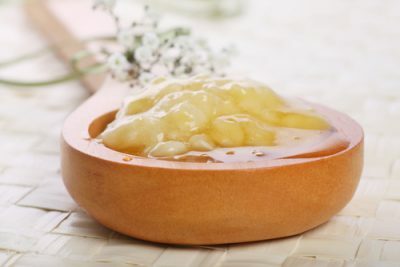 Mix the ingredients together in a bowl and apply the mixture to your hair and scalp. If you suffer from scalp troubles like dandruff and hair fall, a drop or two of tea tree oil and lavender oil will increase its efficacy. Leave on the mask for about an hour or so and wash it off with a mild shampoo. You’ll be left with soft, bouncy hair. This hair mask is perfect for dry, frizzy and damaged hair. A combination of the ultra-hydrating properties of avocado combined with the lightweight hydration from jojoba oil will ensure that every strand of your hair is drenched in moisture. De-seed the avocado and toss it into the blender with the honey and the oil. Ensure you have a smooth, fine paste. If there are tiny bits of avocado left, it will make it harder to wash the mask off. Add a little bit of water to the hair mask and put it back into the blender if you think it’s too thick. Apply this onto your hair and scalp and leave it on for an hour or even overnight. Your hair will feel like it's brand new! Did you leave a banana for a little too long in the pantry? Don’t toss it out because you left it out too long. Use it as a hair and face mask instead. Toss the banana into the mixer with a little bit of coconut oil and honey, until it forms a thick paste. Apply this to your hair and wash it off after an hour. Your hair will be soft and frizz-free! To add a lovely bounce and some volume to your tresses, give this conditioner a try. It promises to leave you with long-lasting, smooth volume that resists humidity. Now, who wouldn’t want that? Price: Rs 157. Buy it here. This precious blend of argan oil from Morocco instantly penetrates the hair shaft, restoring all the shine and softness. What also makes this one our favourite is the fact that it is free from sulphates and parabens. It protects the hair from the sun - something our mane needs to survive the summer! Price: Rs 195. Buy it here. If you’re dealing with dandruff issues, this is your solution. The anti-dandruff agents, along with tea tree oil and menthol content of this conditioner, makes it a winner. Try it, and you won’t be disappointed. Price: Rs 900. Buy it here. This magical conditioner not only repairs the cells but also recreates the hair surface. It is sure to revitalize your dull tresses and add life to them through its cell perfector technology. Swap your old conditioner with this one! Price: Rs 707. Buy it here. If you’ve never heard of the no-poo method for washing your hair - here are all the deets. Apple cider is actually a really beneficial ingredient in skincare and haircare. If you learn to ignore the smell, it’s one of the most beneficial ingredients for anyone with a problematic scalp and oily hair! It’s completely chemical free and is made with all natural ingredients. It will moisturise and nourish your hair without weighing it down! Price: Rs 450. Buy it here. This thick and creamy conditioner, made from real banana puree, works like magic! It moisturises your hair to the fullest and makes it lustrous, tangle-free and healthy looking. Give it a shot. Price: Rs 999. Buy it here. As the name suggests, this conditioner works its wonders on extremely dried out hair that needs moisture to repair itself. What makes this conditioner even better is the presence of jojoba oil and Vitamin E. Grab this one already! Price: Rs 450. Buy it here. Want to lock in lots of moisture, from root to tip? This conditioner by Toni&Guy should be your go-to product in that case. It smoothens the hair fiber and improves dull and dry hair. It’s definitely worth a try. Price: Rs 1,199. Buy it here. Natural ingredients like royal jelly and lavender are just what your hair needs right after being shampooed. This one’s also quite a steal for its price and is the perfect conditioner for those who are battling dry and brittle hair. Price: Rs 75. Buy it here. Infused with red algae complex, this is one conditioner we totally love! It regenerates broken bonds in the hair and nourishes it to make it healthy and super shiny. You’ve got to try it to believe it. Price: Rs 195. Buy it here. This conditioner provides your dry, damaged and frizzy hair with a shot of intensive hydration. It has ingredients like aloe vera, bean sprout, proteins and minerals to keep your hair soft and your scalp healthy. The activated extracts from aloe vera work to nourish your hair and protect it from damage. For the price you pay, this is definitely a conditioner that surpasses expectations. Price: Rs 125. Buy it here. This conditioner works like a charm to repair and strengthen your hair from root to tip. The Keratin protein extracts in it help reverse damage and create a protective barrier on the hair making it soft, silky and shiny. It’s the perfect hair conditioner to use if you subject your hair to a lot of heat styling. Price: Rs 645. Buy it here. Have you been experimenting with various hair colours? This conditioner is sure to give your chemically treated hair that extra TLC that it needs. It will treat your hair to oodles of moisture and make it more soft and smooth with every use. Price: Rs 549. Buy it here. Coloured hair requires a little extra TLC and if you’re on the hunt for an affordable hair conditioner designed to protect your hair colour, this one from L’Oreal is pretty good. It has a unique formula that protects your hair from UV light and provides your hair with a brilliant shine. Use this regularly after you shampoo to protect your hair from the sun and prolong the life of your hair colour. Price: Rs 184. Buy it here. This conditioner has a shea butter-enriched formula that will help add shine and get rid of frizz. It will transform your frizzy, moody hair into a silky, smooth and irresistibly soft locks. Price: Rs 462. Buy it here. This conditioner’s breakthrough straight lock technology is one to swear by. It controls and holds every strand in place, leaving you with straight, shiny, frizz-free hair! Price: Rs 68. Buy it here. This may be more expensive than many other conditioners, but trust us when we say that it is worth every penny. Its deep conditioning and detangling formula make it a hot favourite. It contains argan oil and argan butter - which are amazing antioxidants that revitalize hair to the fullest. The results of this conditioner are said to last up to 72 hours! Price: Rs 1,800. Buy it here. 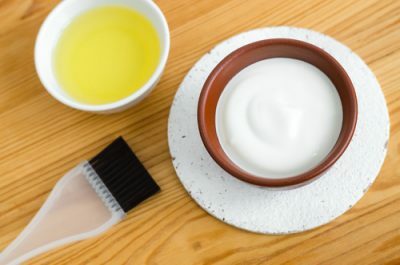 This budget-friendly hair conditioner can be used by everyone. If you have chemically treated hair, this conditioner has a lower sulphate formula that won’t cause any long-term damage to your hair. It is enriched with keratin actives and argan oil to nourish your hair and cut frizz! It smoothens your hair and makes it more manageable! Price: Rs 195. Buy it here. Which of these are you going to pamper your hair with, ladies? Why should you use conditioner? Using hair conditioner is just as essential as washing your hair, it seals your hair cuticle and protects it from damage. When you wash your hair, your shampoo tends to strip your hair of all the oil and natural moisture it needs to be soft and healthy. Hair conditioner helps you to add all that essential moisture back into your hair and treat any damage caused by heat styling or environmental aggressors. How often should you use conditioner? Ideally, you should use conditioner whenever you wash your hair. If you wash your hair every day, try to use conditioner at least 2-3 times a week. Use conditioner on damp hair. Once you shampoo your hair, rinse it out and squeeze it to drain out any excess water. Apply the conditioner to your hair starting at your mid-lengths. That would basically be your ear and below. If you condition your hair from root to tip, the conditioner might weigh your hair down making it look a little flat and limp. You can avoid this by keeping the conditioner away from your roots! How long do you condition your hair? Let the conditioner sit in your hair for anywhere between 2-5 minutes. The longer you leave it on, the more time it has to work its magic. If you want to deep condition your hair and you don’t have a hair mask, an awesome hack is to use hair conditioner. Wash and towel dry your hair as you usually would and then apply a generous amount of conditioner to your hair. Let it sit for an hour or so and then rinse it out. This is a great trick to use for days when you run out of a hair mask and would like to deep condition your hair. What type of conditioner should you use? You should be using a hair conditioner that is designed for your hair type. People with oily hair require a conditioner that’s light and won’t weigh their hair down. 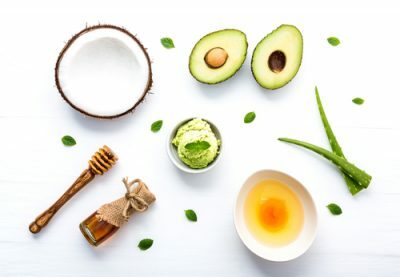 If you have dry, damaged hair, a conditioner that has heavier ingredients like argan and coconut oil will be able to better penetrate through your hair and deep condition it! Conditioner makes my hair oily what should I do? You should use a conditioner that is designed for your hair type and use it only on the mid-lengths and ends of your hair. Keep the conditioner away from your roots and scalp, that is usually the root cause for limp, oily hair. This story was updated in January 2019.